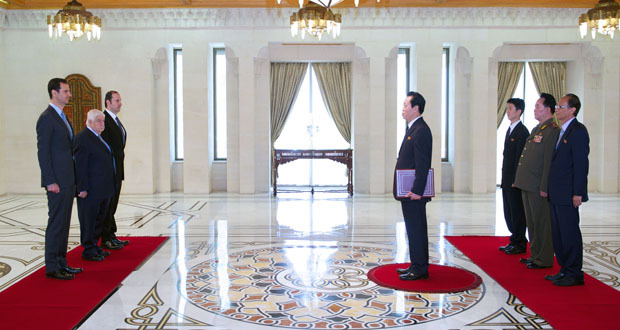 Damascus, (SANA) President Bashar al-Assad accepted Monday the credentials of the new ambassadors of the Democratic People’s Republic of Korea (DPRK) and the People’s Republic of China (PRC) to Syria. 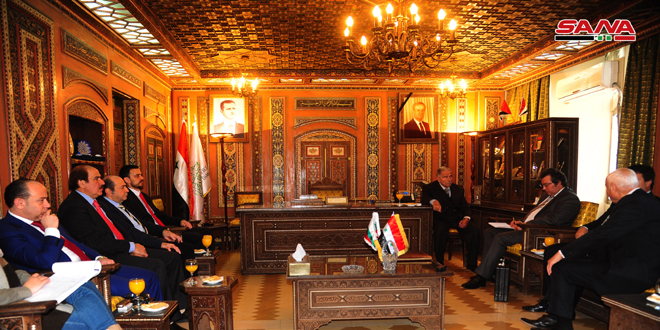 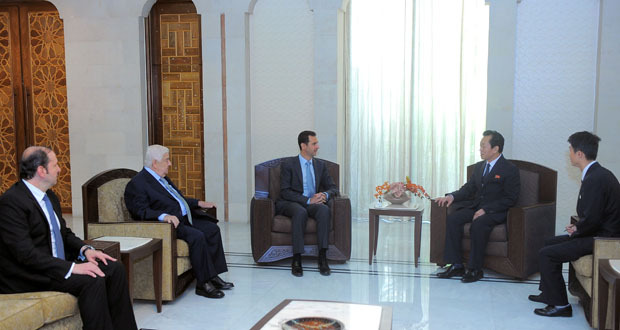 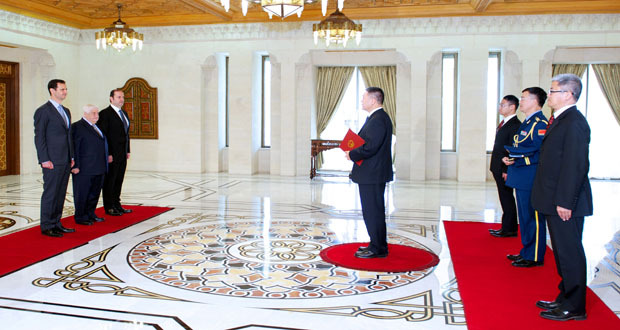 Afterwards, President al-Assad separately received Ambassador Jang Myong Ho of DPRK and Ambassador Wang Qi Jian of PRC and wished both of them success in their missions. 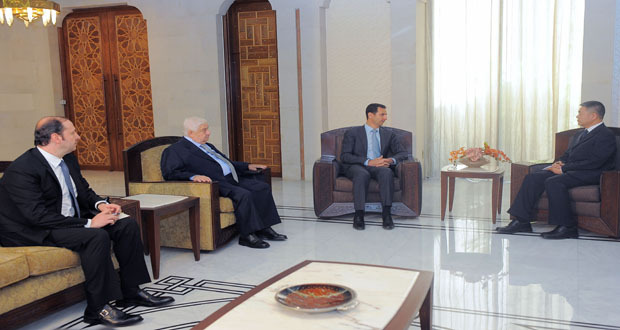 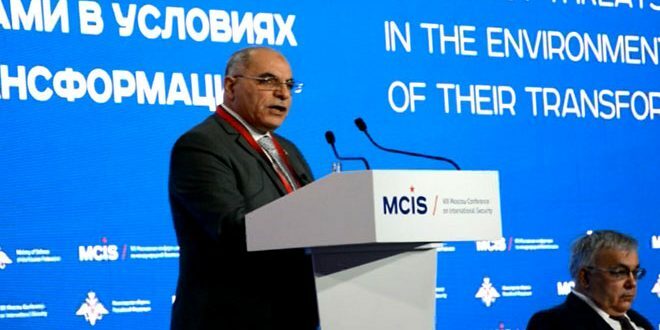 Deputy Prime Minister, Foreign and Expatriates Minister Walid al-Moallem and Minister of Presidential Affairs Mansour Azzam attended the ceremony of accepting credentials.